Empire at Fairfax is a proposed 34-unit mixed-use development located in West Hollywood, California. The property, which is currently in the planning and design phase, will replace the existing buildings which are currently in a state of disrepair with a single 5-story building designed to enhance the Fairfax District. It will feature 2 boutique retail units, subterranean residential parking and contribute affordable units to the City of West Hollywood’s affordable housing program. Empire at Norton is a 34-unit luxury development project located in West Hollywood, CA. This property will feature five stories of residential apartments, a world-class common recreational rooftop with a spa, a BBQ area, and a dog-walk, and one level of subterranean parking. The open floor plans and imported building materials with superior finishes will provide for a comfortable urban living experience in the heart of a thriving city. Empire at Norton construction will be completed by Fall 2018. 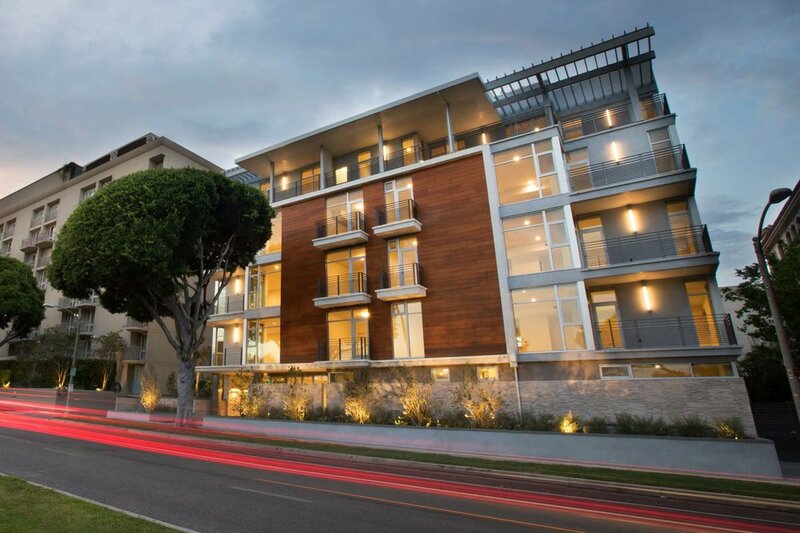 Terraces at La Cienega is Empire Property Group's managed multi-family garden style apartment building located in West Hollywood, CA. Terraces' 42 garden-style units provide large open-space floor plans that allow our tenants to truly enjoy the comfort of their home. Our expertise in value-add property management allows this project to offer desirable and luxurious living at affordable prices. Built in 1990, Cynthia Gardens is a non rent-controlled multi-family property featuring 21 garden-style 1 and 2 bedroom floor-plans. Empire Property Group made the decision to capitalize on favorable conditions and sell Cynthia Gardens in the first quarter of 2018. As owner and operator, Empire Property Group utilized innovative management strategies to generate higher rents while significantly reducing operating expenses. As such, Empire Property Group was able to successfully promote and sell the property for a record-breaking price.